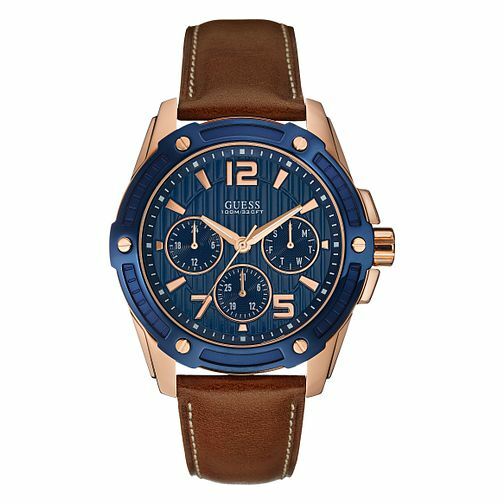 Mix classic and contemporary styles with this on trend men's watch from Guess. This watch has a navy blue dial complete with subdials and rose gold toned hour indexes and is set within a matching navy blue and rose gold toned stainless steel case for a modern look. A brown leather strap gives this watch a classic and versatile finish.